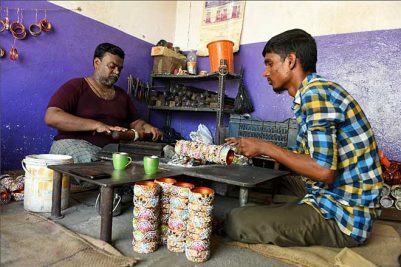 Hyderabad: When the sibling duo Srikanth Bollam and Sridhar Ganesh moved to Hyderabad to pursue their higher studies, little they did not know that their entrepreneurial venture will one day become a national brand. What started off as a means of survival soon turned into a brand to reckon with. Today, Centro is the largest footwear store housing almost all the well-known brands in Hyderabad and is known for its quirky advertisements. 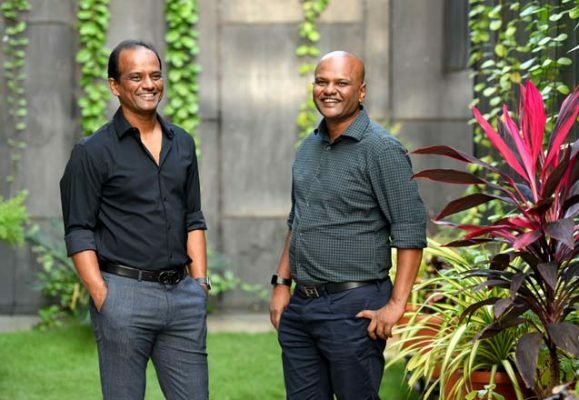 The decade-old brand is part of V-Retail, a distribution company started by Srikanth and Sridhar in 2000 that went on to become one of the largest retail, distribution and franchisee companies including for Max, Skechers and US Polo in South India. Centro was set up in 2009 — almost 10 years later – as the brothers wanted to venture into retail so as to “adapt themselves to changing times”. “Our entrepreneurial journey is a story of survival. Just so that we could stay in Hyderabad, we got into the wholesale business under the brand V-Retail. At that time we did not anticipate to make it big in this field. 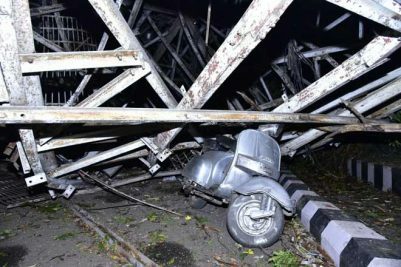 However, when one of our companies – that was running the largest footwear store in India – was planning to shut shop, we saw that as an opportunity. 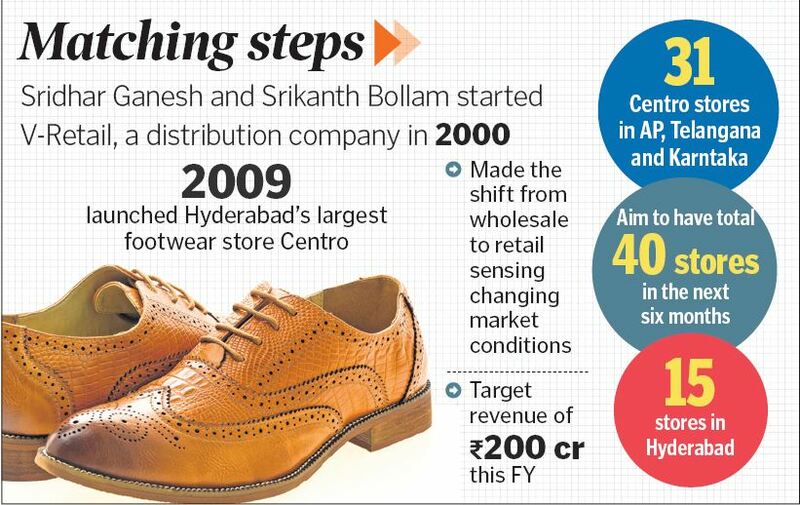 We took over that store and entered the retail segment under the brand Centro,” says Sridhar. Slowly, the brothers started taking decisions based on market conditions. Being fashion buffs made their job that much easier and they could change the business model accordingly. From the first store spread in about 16,000 square feet, Centro now has about 31 stores in Andhra Pradesh, Telangana and Karnataka. Of these, about 15 stores are just in Hyderabad. From one employee when they started, the company today employs close to 1,000 in all its businesses put together. While Centro is the brand they are known for, the company also has a huge franchisee network of 300 stores and a wholesale business in the fashion sector.